State Library Victoria – Family History Feast 2013 booked out! 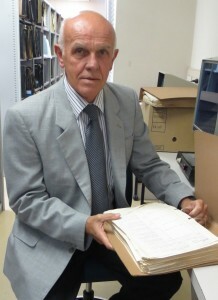 In 2013 the State Library of Victoria will again host the annual Family History Feast (the tenth) to be held at the Library on Monday 5 August during National Family History Month. The event is now totally booked out. This year the event will have a military research theme. We are pleased to announce that the annual Don Grant Lecture organised by the Victorian Association of Family History Organisations will be given by well-known military historian Lieutenant Colonel Neil Smith AM. Neil and his wife Sylvie have developed Mostly Unsung, a unique military history research business using resources inLondon and around Australia. Neil has researched and compiled scores of publications and articles on servicemen and women, various regiments and conflicts ranging from the British garrison in Australia through the Boer War, both World Wars and post 1945 conflicts, such as the Malayan Emergency. He is well known for his media and documentary work and frequently provides presentations on military history, where the emphasis is always on those who served. At the 2013 Feast, Neil will be speaking on ‘That elusive Digger : tracing your military ancestors in Australia”. If you missed out attending the event in person, you will be able to enjoy podcasts of the talks and a videocast of the Don Grant Lecture on the Library website after the event.